Around this time last year I was in Bury St Edmunds record office, Suffolk, tracking down my Wright ancestors. An IHGS assignment required me to record register events for a family over a period of at least 50 years in one parish, and then construct family trees from those events. Knowing (from census records) that my Wrights had lived in Boxford and Polstead, I chose to research both parishes. You can find the baptisms and marriages online at FamilySearch, though Boxford’s data appears to be limited in date range and includes entries taken from the bishop’s and archdeacon’s transcripts (BTs), which are sometimes noted as “Boxford BTs”, but also noted as being from “Sudbury”, the name of the deanery. However, burials aren’t included, and I thought it might be useful for others if I listed the burial entries I found. I viewed the parish registers on microfiche, and in some cases the entries were quite difficult to decipher. As with any transcription, errors may be lurking! Boxford Parish (Suffolk, England), Parish Registers, Burial entries, Fiche no. 10 (1754-1807), Fiche no. 11 (1807-1808), Fiche no. 16 (1808-1831), Fiche no. 17 (1831-1858), Suffolk Record Office, Bury St Edmunds. 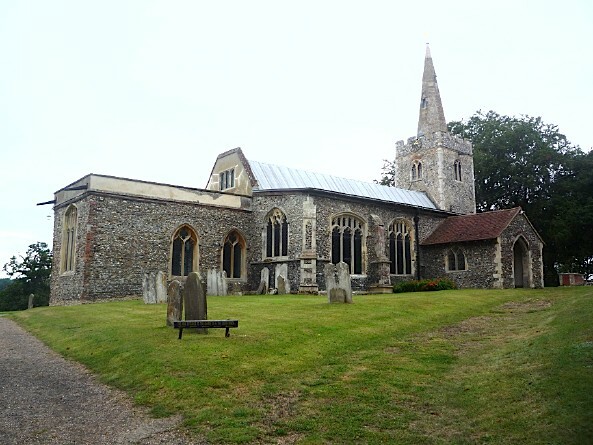 Polstead Parish (Suffolk, England), Parish Registers, Burial entries, Fiche no. 8 (1772-1783), Fiche no. 11 (1783-1788), Fiche no. 12 (1789-1813), Fiche no. 15 (1813-1825), Fiche no. 16 (1825-1858), Suffolk Record Office, Bury St Edmunds. 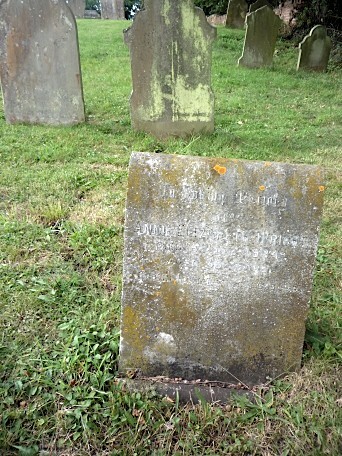 *There appeared to be a gap in the register of burial entries for Polstead parish between 1781 and 1788. Some weeks back I posted a photo I took of St Mary’s church in Polstead, Suffolk. It’s a beautiful old village church, and when we visited back in August, we could just walk in and take a look around. Inside, I picked up a copy of Polstead Church and Parish1 for a small donation, and the following information comes from there. 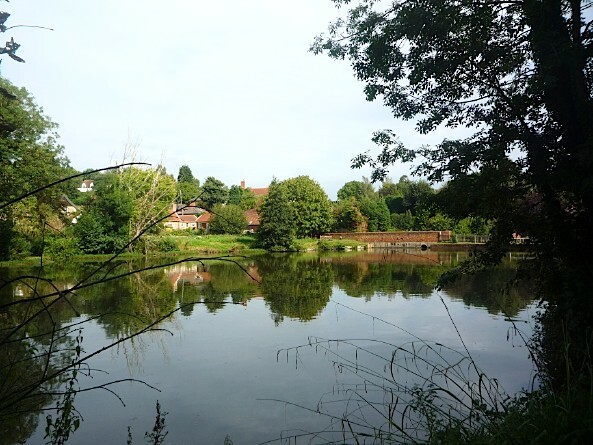 The church was built early in the reign of Henry II, probably about 1160 A.D. and was dedicated to Saint Mary. 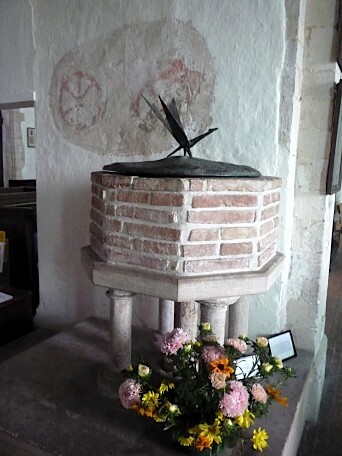 There have been two major alterations to the orginal twelfth-century Norman church, one towards the end of the fourteenth centur and another about 1510-1520. 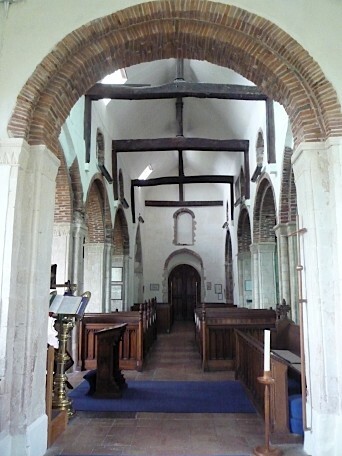 The interior of the church is given a unique appearance by the use of brick and tufa blocks (a porous stone used for building at Rome and Naples) in the construction of the nave arches – Norman arches of brick are very rare; there is no other church like this in the whole of Suffolk. There is much architectural joy to be discovered in this church. I found it to be a very lovely and simple place of worship, with lots of historical bits and bobs to savour. It’s where some of my Wright ancestors were baptised and married, and some buried in the graveyard. book tickets for WDYTYA? Live in February – yup indeedy, tickets bought and workshops booked. Even have hotel booked, woohoo! I also fitted in a day course at IHGS on The Parish and the Manor, and a day’s research up in Suffolk on the Wright side of my family. 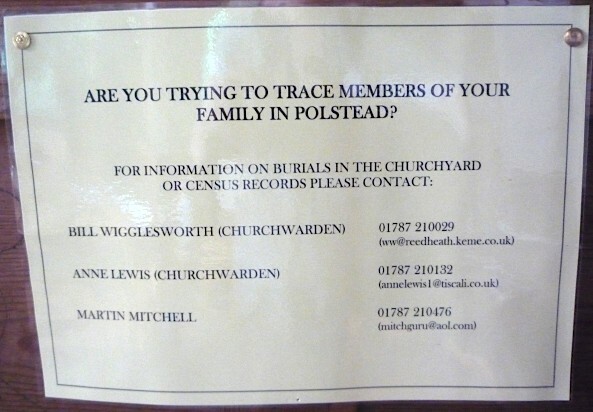 Are you trying to trace members of your family in Polstead?